WASHINGTON (Sept. 18, 2013) -- "You can't change the cards you were dealt [in life], you can only change the way you play them." Profound and inspirational words from an 18-year-old young man who not long ago was headed down the wrong path. RaShaan Allen was hanging around the wrong crowd, getting into trouble and failing in school when he decided to change the way he was playing his hand. That change of course led him to the West Wing of The White House in September where he received a hand shake and congratulations from President Barack Obama for outstanding achievement. Allen is the son of Sgt. 1st Class Crystal Singer, the patient administration noncommissioned officer for Army Recruiting Command's Soldier and Family Assistance Branch located at Fort Knox, Ky. He is the first person to be selected as the Boys and Girls Clubs of America (BGCA) Military Youth of the Year -- a new level of the competition -- and was one of the six finalists for the BGCA Youth of the Year. 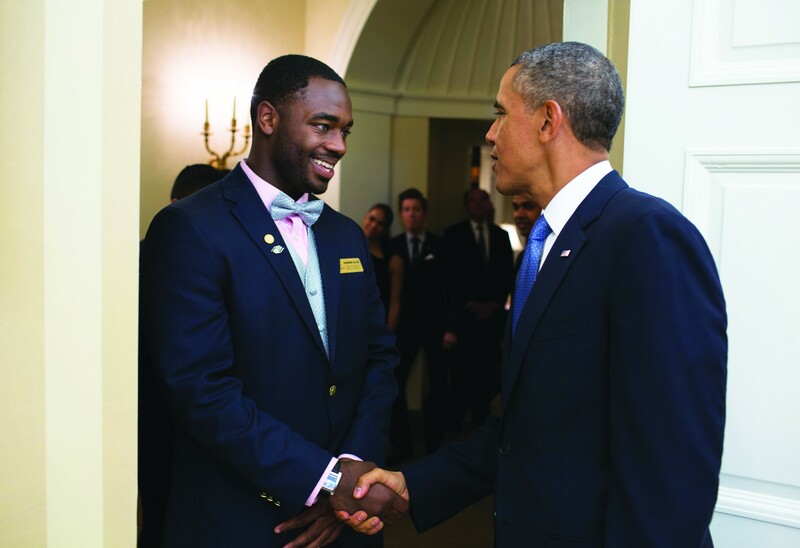 All of the finalists for the national title were invited to the White House Sept. 18 after the final judging for the national title in Washington, D.C. The president thanked the teens for their work with the BGCA, talked with them about their future plans and goals, discussed White House internship opportunities and encouraged them to continue down the road to success. With more than 4,000 established clubs across the country serving more than 4 million young people, BGCA provides a safe place for youth to make friends and get involved in sports, community service, volunteer work, and developmental and educational programs. The clubs provide adult mentorship and promote academic success, good character and citizenship and healthy lifestyles. Youth centers on all military installations around the world are affiliated with the BGCA. Every year each club nominates a handful of their members to compete for BGCA Youth of the Year on the local level with each winner advancing on to the state, regional, military (if it applies) and national levels. Those selected for the honor become the ambassador for the BGCA at each level they win, serving as a role model, motivator and spokesperson. Allen won the local, state, regional and military titles. But his destiny could have been much different. Allen's story is one heard often. He was born in a town infested with drugs and gangs, raised by a single mom after his parents divorced when he was 1, and witnessed drug deals and gang fights daily on his short walk to and from the school bus. 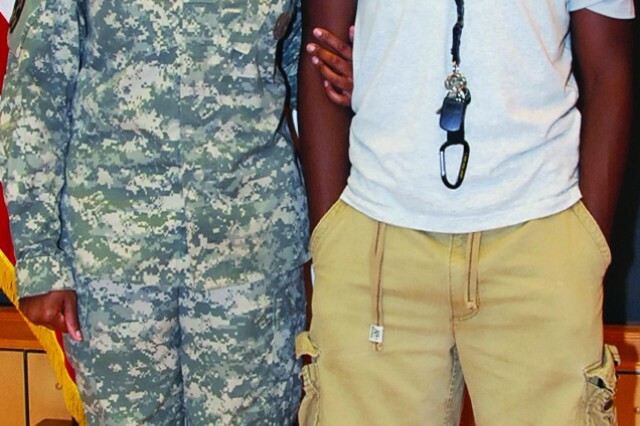 Things got worse when his mom was assigned to Recruiting Command in 2004 and stationed in Belle Chase, La. Shortly after they arrived, Hurricane Katrina destroyed their home and washed away most of their possessions. 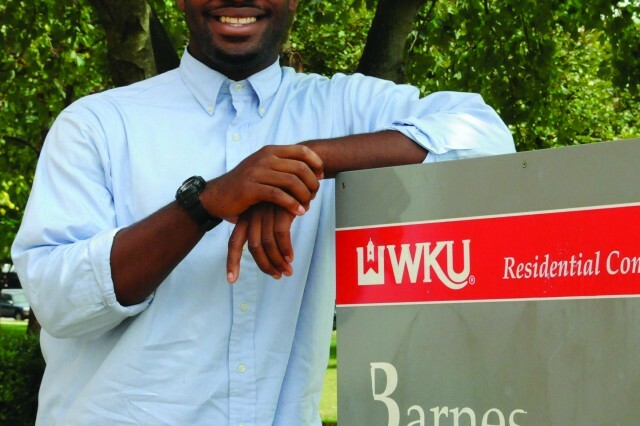 When his mom was assigned to Fort Knox in 2009, Allen arrived with a chip on his shoulder and got in with the wrong crowd, said Eddie Ragland, director of Devers Middle School and Teen Center on post, where Allen had been sent to do some community service after getting into some trouble. 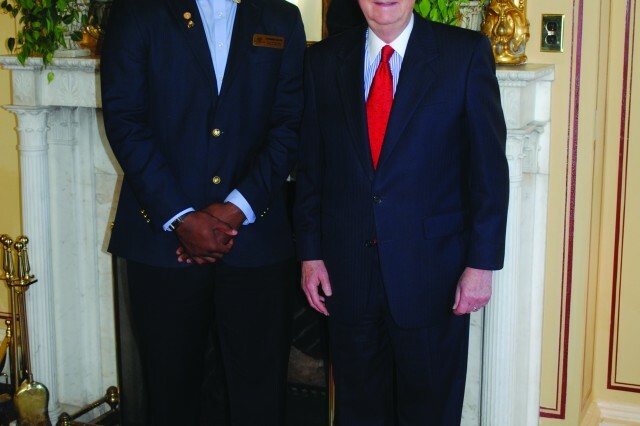 "My first impression was, he was trying to be that way to fit in," said Ragland. "He was the new kid in town, had gone through a tough period in his life and the way he could deal with it was to be tough. Sometimes the easiest groups to fit into, unfortunately for kids, are with the kids that aren't involved in a lot of things, they just hang out and have no direction." "I was headed in the wrong direction," admitted Allen. "But I never really wanted to go in that direction, it wasn't really me, I was just trying to fit in. The club provided me with a place where I could be the kid I always wanted to be, it was my home away from home, my security blanket and taught me how to be more sociable and interact with kids." Staff at Devers took Allen under their wings, mentored him, got him involved in sports, volunteer work and programs to develop leadership skills. Within just months, Ragland noticed measurable changes in Allen's attitude. "I think he saw a better path he could go down and he took it; started taking school seriously and graduated with honors. He's a very humble kid who now has a clear career path ahead of him, knows what he wants to do and what it's going to take to get there. He's just been kind of a cornerstone of the club, kids look up to him and people gravitate to him like he's the leader. He's just an outstanding young man." "I consider Devers his second home," said Singer. "That safe haven for him really transformed and changed his whole mindset. Before he was just a normal kid following in his peers' footsteps; now he wants to be a leader. He's very humble, disciplined, hard working and caring, and I'm just so proud and blessed to be his mom." Allen's been involved with the BGCA since his freshman year. 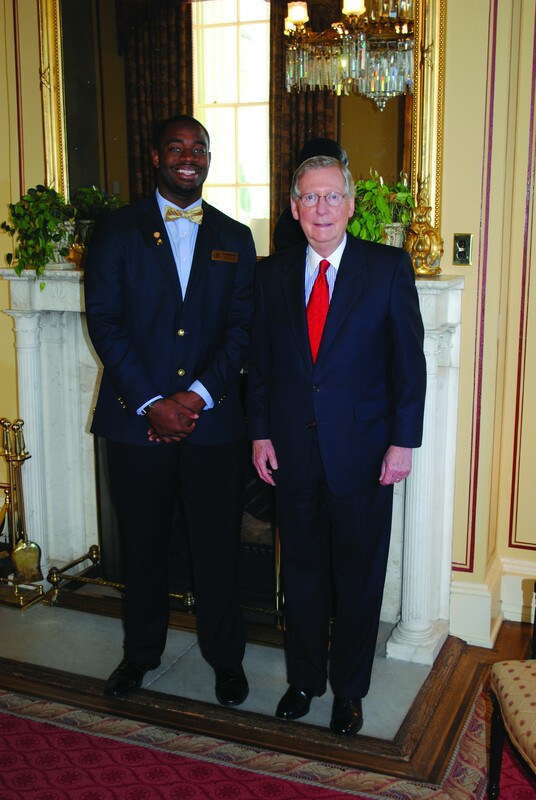 Since then, he's served as co-president of the Club Youth Council and as an Army Family Action Plan delegate. Attending Fort Knox High School, he played eight varsity sports, captaining six of those teams. He served as president of his freshman and senior classes, was elected governor at Kentucky Boys State, a program that teaches youth about state government, and during his senior year alone volunteered more than 950 hours working in the homework center at Devers and doing community volunteer work for a number of organizations including the Red Cross and Helping Hands, all the while maintaining a 3.5 GPA. Dwight Coble, Allen's mentor and program supervisory lead for Devers nominated Allen for the 2013-2014 Youth of the Year. "I don't see how he found time [for all that he did] with only 24 hours in the day," said Coble. "He's the one who will always help others because he knows we've given him a lot. He's an exceptional individual and amazes me almost every day with just his poise, presentation and appearance for someone who's only 18. He stands out in crowd and just takes command of the situation." In order to prepare for the competitions, nominees had to compile a packet of information demonstrating how they achieved academic success and made outstanding contributions to their family, school, community and BGCA-affiliated youth center. The packet included information about their volunteer work, academic achievements, essays about their morals, home and school life and community service, and any news articles about their achievements. Nominees also had to answer a series of questions from a panel of judges at each level and give a three-minute speech on what the BGCA means to them. In an excerpt from his speech Allen wrote: "On February 18, 2009, Devers Youth Center stepped into my life and changed me. It changed me, a troubling youth that was destined for trouble into a role model for the next generation. It changed me, a student who had a 1.5 GPA to a student that currently has a 3.5 GPA, who's president of the senior class, who's homecoming king, who was elected governor of Kentucky Boys States, who's captain of almost every team [sport] he participates, but most importantly, it changed me, a kid who had nothing and turned me into a man to where the sky is the limit." In addition to winning the titles on the local, state, regional and military levels, Allen won a total of $33,000 in scholarship money for college. Though Allen didn't win the national title, he said this whole journey has been an amazing experience and he isn't bitter about his past. "It's been hard, but my struggles have definitely made me the person I am today -- stronger. All those things that just brought me down taught me to get back up and have made me more resilient and stronger than ever." Allen just started his freshman year at Western Kentucky University in Bowling Green, Ky., where he's majoring in political science and theatre and is a preferred walk-on and tight end for the football team, the Hilltoppers. 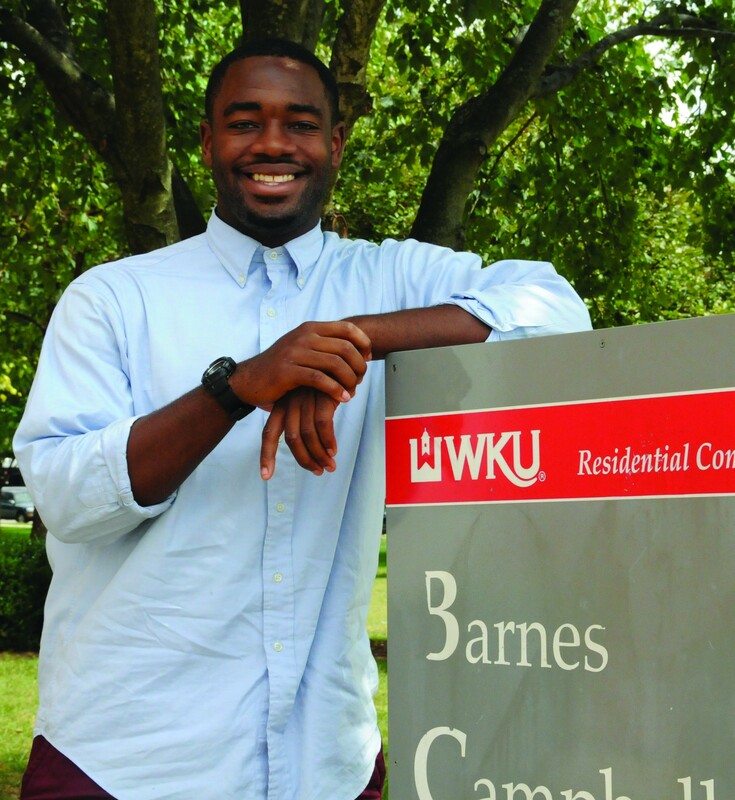 He's currently working on a class project where college students at WKU can volunteer to be mentors for local elementary, middle and high school students. After graduation he plans to attend Stanford Law School and go into politics.